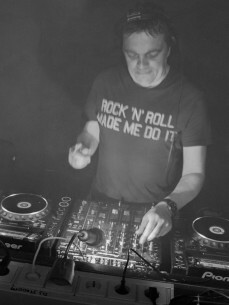 Rogier (Schouten) has been involved in house music for almost 25 years now. His home has been Breda (Netherlands), and started playing music there. Back in the nineties he was a resident DJ at various clubs like the Pacha, Nightlife and the legendary Dino’s After Hours club in Amsterdam. After that, the also started playing gigs abroad, especially in Greece. Also thanks to him teaming up with Stage van H.
From the early zero’s they started producing their own stuff which resulted in their first single called „Onshore” for the label Movement Recordings. After that they started working more closely together and developed their own nowadays familiar Rogier & Stage Van H sound. From 2014 on, they produced intensively together which resulted in hitting the charts with more than 50 releases on more than 10 different labels. Now, he is performing solo also and joined not only his home base label Just Movement, but also Movement Recordings, Aethereal, Mistique Music, Stellar Fountain, 3xA and Abstract Space Records. His style is progressive with all variaties that are needed to get people moving and involved. His skills as DJ however, are praised for many, many years. He produces various monthly DJ sets, which are occasionally aired on Radio shows all over the world. For sure, this guy knows what to do behind the decks. In the mean time, 2016 has already been a really successful year for him, with excellent solo EP’s, new remixes and releasing strong progressive sets. And we are sure that he will bring us more joy in the near future.